Storm Team 4's Janice Huff with your forecast for Saturday, Sept. 15. Florence began its drowning assault on the Carolina coast in earnest early Friday, threatening communities with life-threatening storm surge and ripping apart buildings with screaming winds on a slow-moving course over land that could mean sustained strength and damage. The ferocious storm made landfall near Wrightsville Beach, North Carolina, shortly after 7:30 a.m. as a Category 1 hurricane with maximum sustained winds of 90 mph, then was downgraded to a tropical storm by Friday afternoon. It has inundated coastal streets with ocean water and left hundreds of thousands without power. 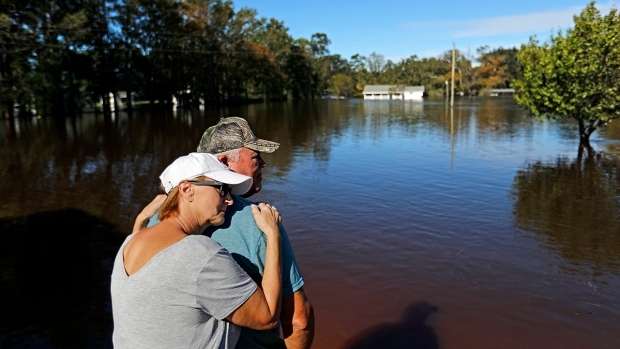 Though hurricanes tend to weaken after landfall, Storm Team 4 says that "catastrophic" freshwater flooding is expected over portions of the Carolinas in the coming days. Track the latest on the storm here. 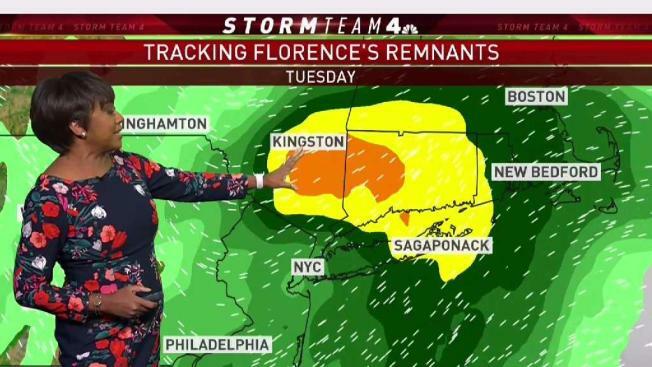 The remnants of Tropical Storm Florence are expected to make their way north early next week, potentially bringing torrential rain and thunderstorms to the tri-state area late Monday night into Tuesday, according to Storm Team 4. The otuer bands could move in as early as Monday evening, with a rain and a thunderstorm possible before sundown. Heavy rain and gusty winds are likely on Tuesday as Florence’s leftover energy traverses the tri-state and moves off toward New England on Tuesday night. 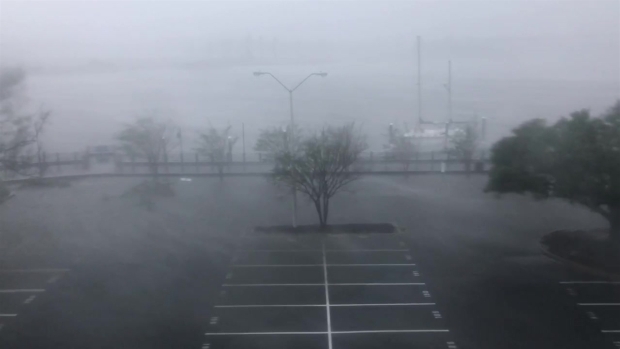 Storm Team 4's Dave Price is in Wilmington, North Carolina, as Hurricane Florence threatens the coast with monster storm surge and 90 mph winds. This is what a parking lot looked like early Friday. It's too early at this point to estimate how much rain the region could see as a result, Storm Team 4 says. Check out the interactive maps below for the latest on its probable path and rainfall potential over the coming days, and stay with News 4 for the latest forecasts and possible impacts.